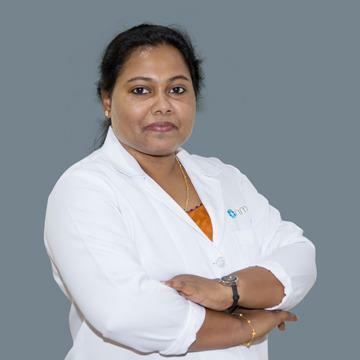 Dr. Simi Susan Enos completed her MBBS from Government Medical College, Thrissur, Kerala, India in the year 2009. She has more than 8 years of experience in treating and managing various diseases. She joined NMC royal medical center in 2017 as a general practitioner with an aim to achieve maximum patient satisfaction combined with good clinical outcome. She is fluent in English, Hindi and Malayalam.